I had created this XNA Video series for beginners to learn XNA Game development. This is the part 1 of the XNA Video Series. Introduction to video games (History). XNA Article in Sinhala Language. 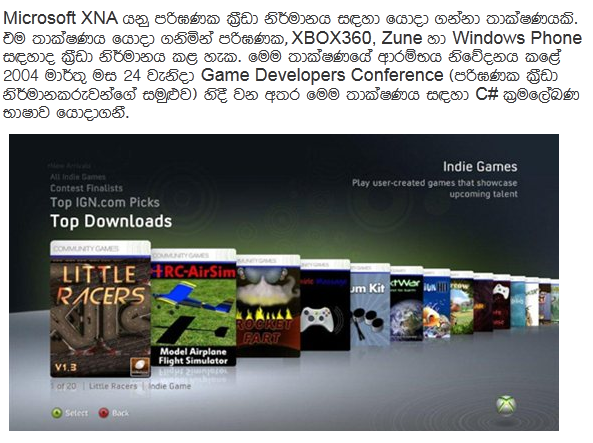 My first XNA Article in Sinhala Language now available on Microsoft TechNet wiki.